The Fight for the Crown of BlockWorld! Site: The Void - a blank space - nothing there but 7 warriors and their groupies... OK i was lazy! 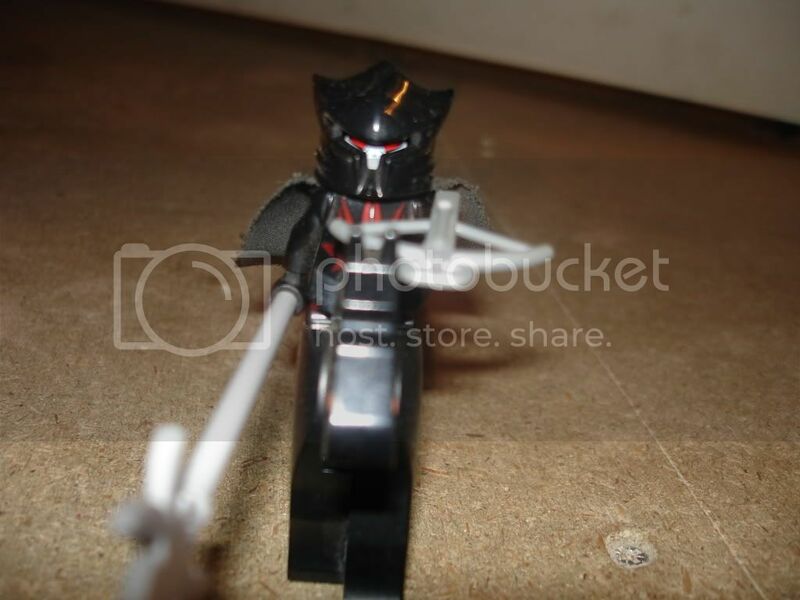 Description: he Is THe BLACK GUARDIAN!!!!!!!!!!!!!!!! 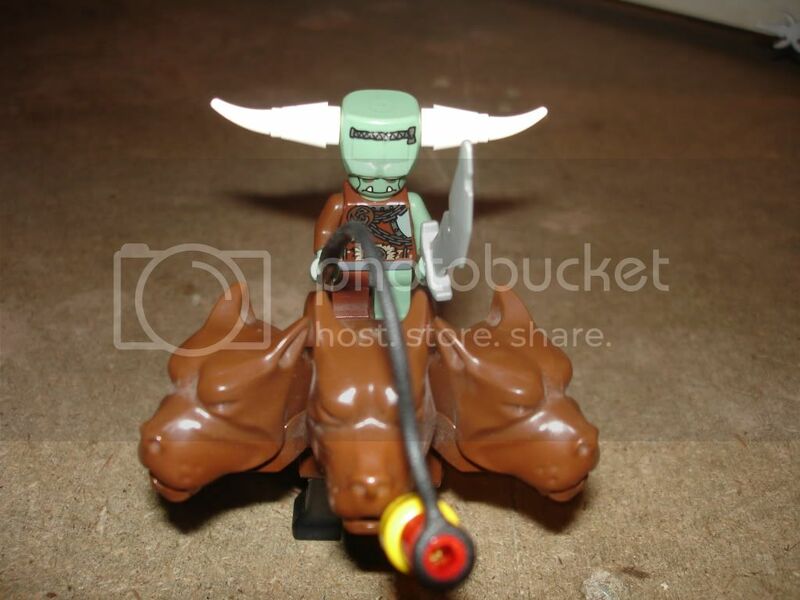 Description: The strongest Orc, feared by all goblins, mounted on a 3-headed dog! 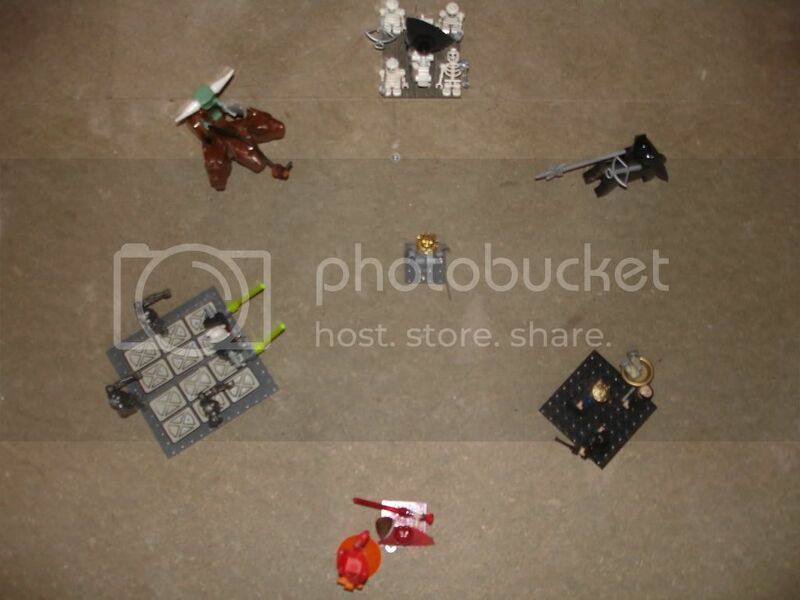 Abilities: Necromancer powers(revive allied players and skeleton groupies),rides a skeleton horse, 4 skeleton groupies, -1 to all rolls per 3 turns. 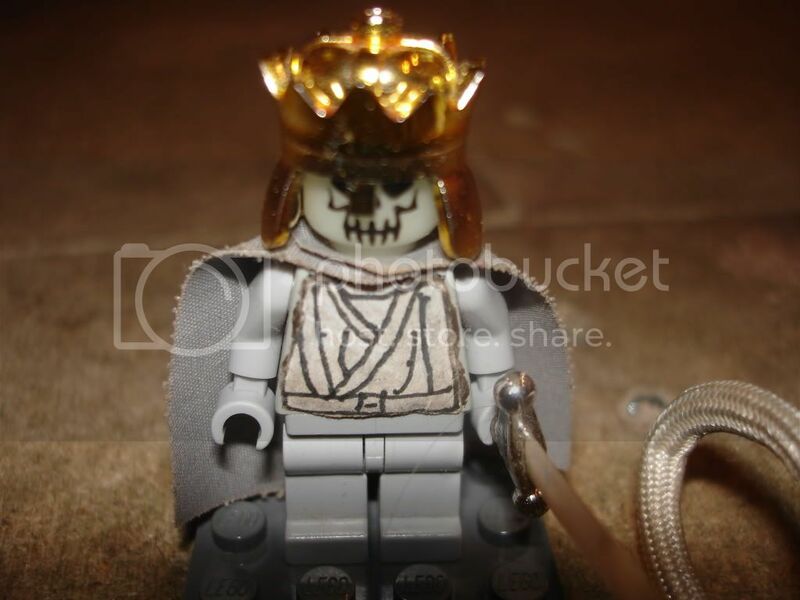 Description: Once a normal minifig in medieval times but decided to become a necromancer and rose an army of the undead and was burned for witchcraft but he survived to today and he can't live much longer without the crown. 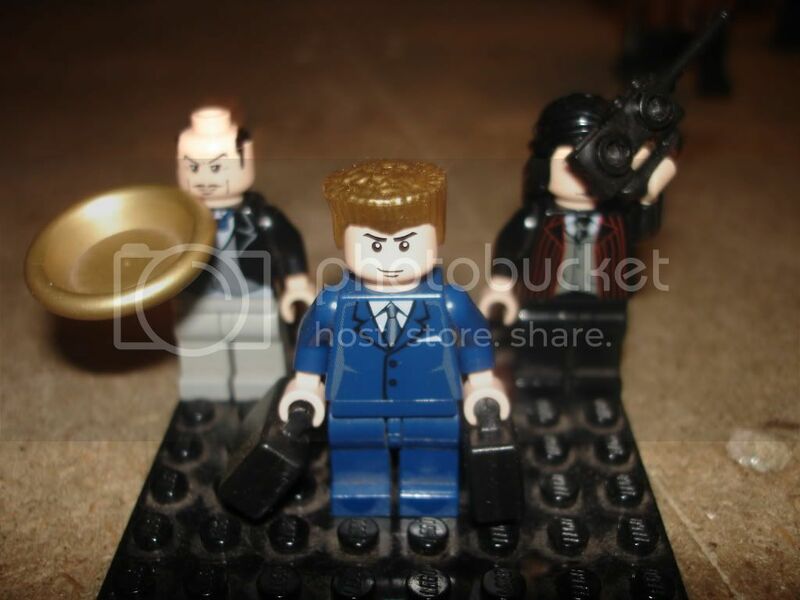 Description: Owner and founder of Starbucks and he is never seen without his Butler named Parker and Agent Creamy Vanilla and he thinks he can buy the crown off The King...He is also prepared for assasination attempts and his store is funded by the US Army. Description: The Terminator is in many movies and has a franchise based on him, near impossible to kill, a man of few words, his main catchphrase is Hasta La Vista, Baby!. AND Main enemiy in longest running Sci-fi show, almost impossible to kill, It's main catchphrase is EXTERMINATE!!! The King gets his powers from his Crown... Remove the Crown to remove his powers... Wear the crown (takes a roll to see if you are worthy) and you will get access to his powers. 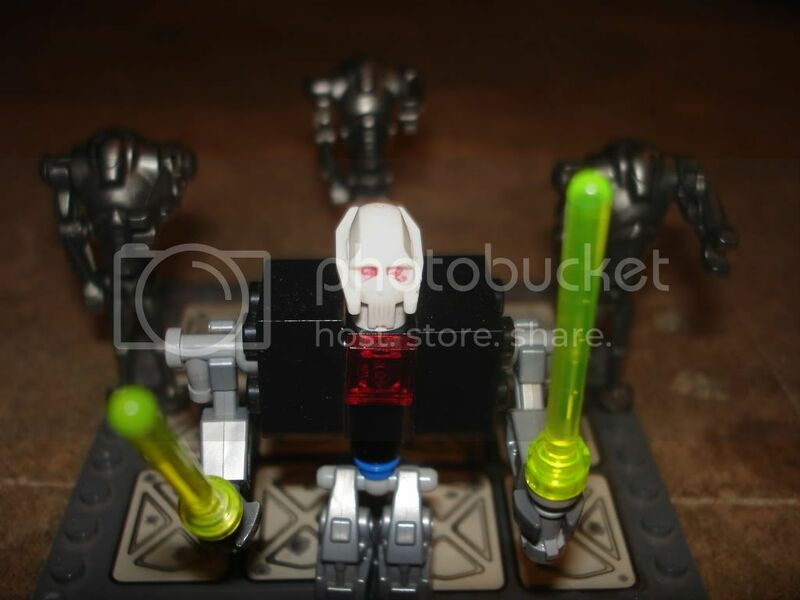 Alliances are only aloud if the are formed by Bucky McBucks. Once all other players are dead the remaining player must put on the Crown by 1. removing it from the dead body(roll needed) and 2. put it on for victory (roll needed). Players are aloud to leave the match but cannot rejoin. 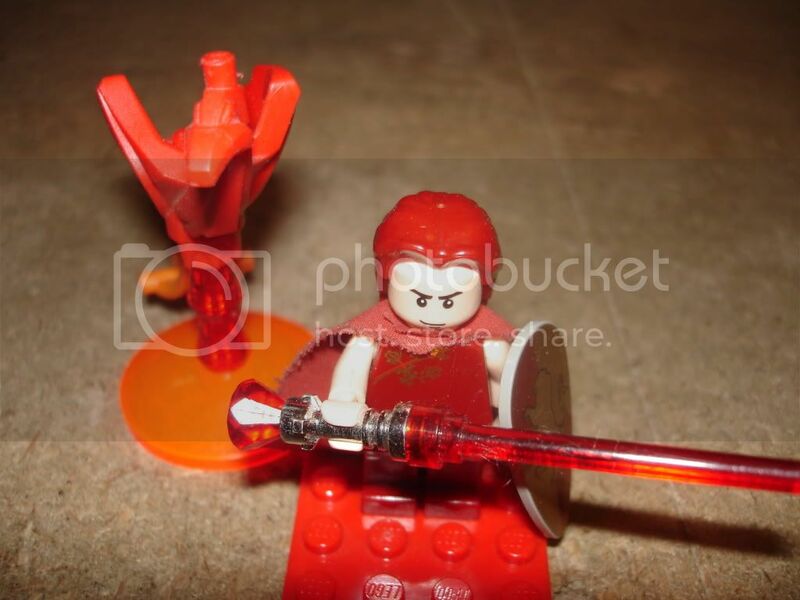 All groupies count as normal minifigs unless stated. The Phoenix can shoot fire and when killed can rise again after 1 turn. The Secret players can come in whenever ??? want after the first turn but cannot leave again. Bucky McBucks cannot use the Crowns powers - he just wants to melt it down into more gold. If the faction leader dies, the groupies must leave the game. The Terminator and A Dalek: ??? and ??? Last edited by RJ on Sun Jan 24, 2010 6:04 am, edited 25 times in total. I call the Black Guardian! Your not safe whereever you start - except from ??? Fine...I take Drakk if i cannot have the Secret Player. 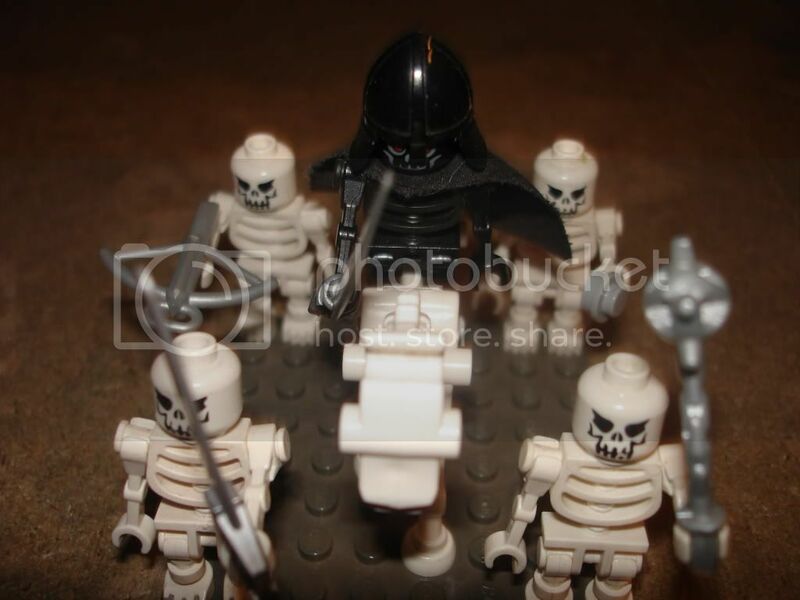 also Mr Skul was once a normal minifig but he became a necromancer and thats how he is surrounded by skeletons - THAT HE CAN RERISE! After careful consideration of the remaining teams... can I take Bucky McBucks please? Does it mean he has US military backing? PM me please for clarification. is the secret faction terminator? Can you change Lord Fenix so he has yellow features, please? 3. C'mon i need someone to take over Mr Skul! Last edited by RJ on Wed May 20, 2009 1:17 pm, edited 2 times in total.